I still remember the Tony Roma’s Beef Ribs Challenge on July 4, 2009. Yes, I was there for the all-you-can-eat-ribs and no, I didn’t take part in the competition. Although, I have a sneaky feeling I might have won if I did, from the amount of ribs I ate during the buffet — 13 ribs altogether. The winner who was skinny as hell finished 10 ribs in 5 minutes. 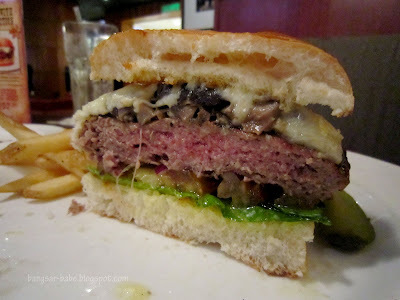 Anyway, I heard about the latest challenge at Tony Roma’s — The Wagyu Burger Challenge which ended last Friday, May 20, 2011. I didn’t bother joining this, as I felt waygu should be appreciated slowly and not gobbled up in the fastest time. rif wanted to try the Wagyu Beef Burger (promotion ends June 4, 2011), so we visited the Mid Valley outlet last week. 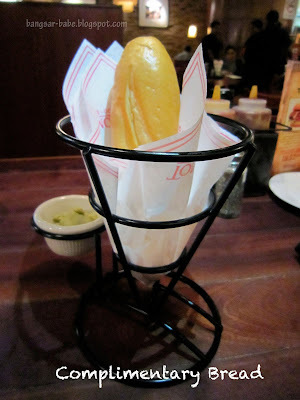 While I didn’t care much for their complimentary bread, the garlic butter was good stuff. 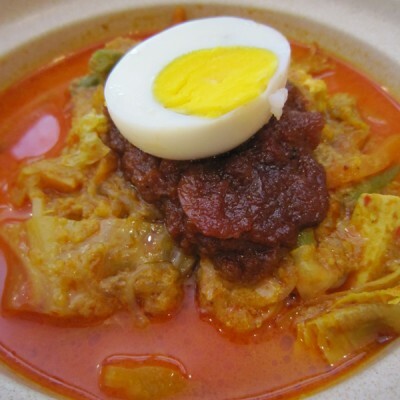 It was pungent, spicy and savoury. 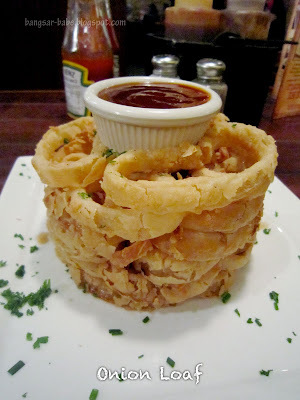 The onion loaf (half loaf for RM12.90) was crispy and greasy in a good way. Tony Roma’s Wild Mushroom Harvati Burger (RM36.90) was an assemblage of thick wagyu beef patty, wild mushroom slices, Harvati cheese, tomato slices and a lightly toasted burger bun. While the burger tasted quite good, I thought it was a waste of wagyu. To me, wagyu beef is best eaten as a steak, not minced up to form a patty — I couldn’t taste the marbling, which was supposed to be the highlight. 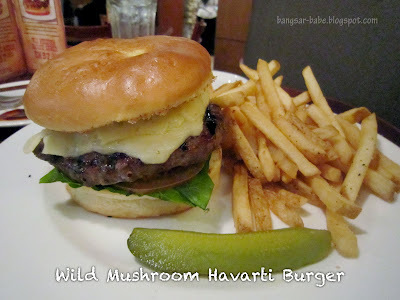 That aside, the Harvati cheese and wild mushroom combination complemented the juicy patty nicely. 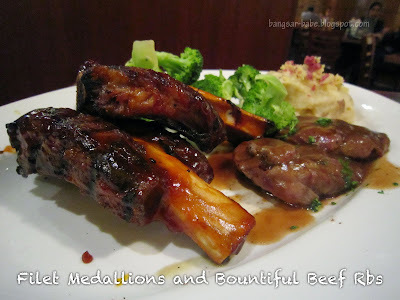 My Filet Medallions and Bountiful Beef Ribs (RM69.90) were adequately prepared. I asked for my beef to be cooked medium rare and it was just that. 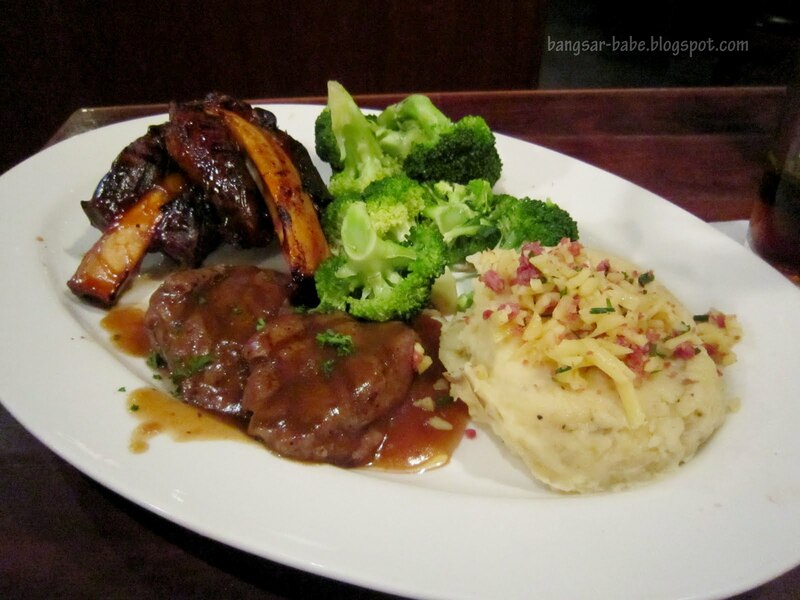 I’ve never been a fan of beef ribs, until I tried the ribs at Tony Roma’s. Smoky, fork-tender and meaty, I could have eaten another two pieces of ribs. Service was ok, but I was annoyed that the waiter didn’t inform us we could have gotten the milkshake at 50% off when we ordered the Wagyu Beef Burger. I only found out after we overheard the people at the next table talking about it. 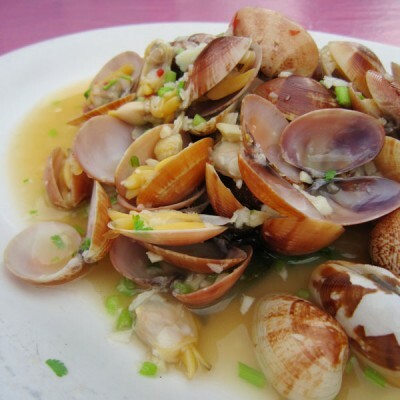 Verdict: The food here is decent…IF you manage your expectations accordingly. the use of wagyu in beef burgers is just a more glamour way of selling an over priced burger. if you think about it, how much actual meat goes into the burger, no one knows and it is a good way to use the leftover cuts of a wagyu cow isnt?